Andean art for men! 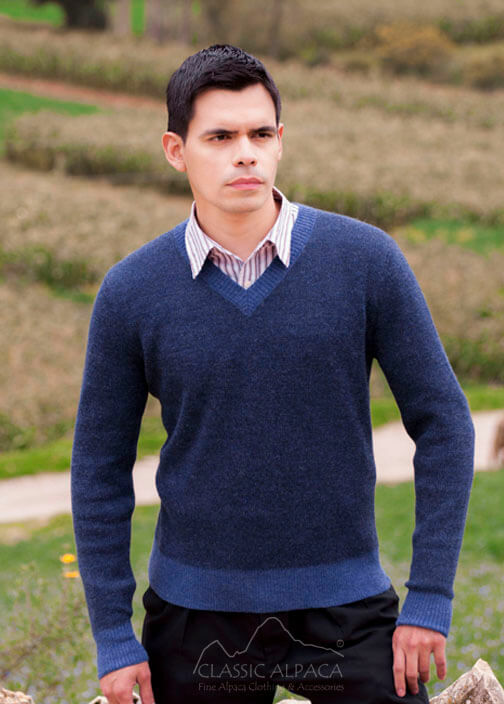 Designed for masculine elegance, this attractive and cozy two-toned V-neck Alpaca Sweater with contrasting knitted textures is made of 100% baby alpaca. Unbeatable in comfort, warmth, breathability and durability.